A collection of interesting articles and anecdotes relating to Bagley and all things Running Blind. An article appeared in the Icelandic newspaper Morgunblaðið on 6th July 1978. Morgunblaðið (1978). ‘Fólk í fréttum’ (6th July 1978 p. 29) © mbl.isÁrvakur hf. 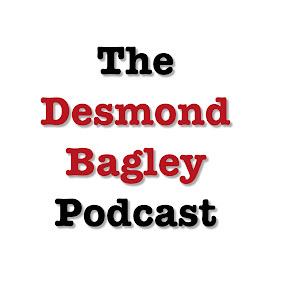 Desmond Bagley the great fiction author was in Norway recently and had a good visit. They saw many places that would make ideal settings for his novels. His wife, Joan Magaret, accompanied him on the journey and Bagley told us that his wife was the model for many of the women in his books. His wife objected and said that the model would most likely be Sophia Loren. The exhibition is organised by the Icelandic business Rammagerðin and Hotel Loftleiðir. Models display jewellery and various types of garments made from Icelandic wool and fur products . The popular cold buffet is offered . Read more about Hótel Loftleiðir here. Bagley and his wife Joan arrived in Iceland for their research trip on 22nd July 1969 and immediately spent three days in Greenland  most likely flying there from Reykjavík City Airport the day after their arrival. Bing Crosby had arrived in Iceland the previous week, on 17th July, to take part in making a film about salmon fishing in Iceland. A newspaper article was published in Vísir on 23rd July  covering Crosby’s visit and mentioning how many salmon he had caught (four salmon, one of 18lbs). It is probable that Bagley was reading this article on 23rd, and later wrote about his own experience whilst waiting at the City Airport. 2. Þjóðviljinn (1969). ‘Desmond Bagley skrifar bók sem hann lætur gerast hér’ (15th August 1969 p. 10). 3. Vísir (1969). ‘Hæ Siggi hæ Bolli’ (23rd July 1969 p. 16) © DV.ehf. Images © BBC Scotland & © mbl.isÁrvakur hf (RAX). 2. Morgunblaðið (1978). ‘Grunsamlegir menn og kuldaleg andlit’ (10th June 1978 p. 10) © mbl.isÁrvakur hf. 1. Dagblaðið (1978). ‘Big success in Hótel Húsavík (25th September 1978 p. 14). 2. Vísir (1978). ‘Hótel Varðborg’ (22nd June 1978 p. 21) © DV ehf. On 21st January 1979, two days after the transmission of the final episode in the UK, an advertisement appeared in The Observer newspaper titled ‘Iceland Safari’. 1. The Observer (1979). ‘Iceland Safari’ (21st January 1979 p. 44) © Guardian News and Media Limited. Stuart Wilson returned to Iceland to take part in a children’s television series called Nonni and Manni set in Iceland in 1869.The series was based on the book by the popular Icelandic children’s author Jón Sveinsson and Wilson played the rather nasty local businessman Magnus Hansson.The six part series was a joint venture between Iceland and West Germany’s ZDF channel, debuting on the German channel on 26th December 1988. Nonni og Manni – Images © Taurus Film 1988. Nonni was played by Garðar Thór Cortes, now a famous tenor who has previously toured with Elaine Page, Katherine Jenkins, Kiri Te Kanawa and Lesley Garret.